Just over a month ago, I published an article on the website which discussed the Beehive as a lost Masonic symbol in regards to the lodges under the United Grand Lodge of England. There are of course symbols of the Beehive that survive in certain English lodges, but overall, the article concluded that after the union of 1813, the Beehive disappeared in most English lodges – having previously appeared on lodge furniture, tracing boards and in the part of the ritual of the Royal Cumberland Lodge. The purpose of this small article is to revisit the Beehive, and examine the importance of the Bee and the Beehive as a symbol in other traditions and cultures, such as in Greek mythology; Aristaeus being the god of Bee keeping; in Egypt, were Bees grew from the tears of the Sun god Ra; and with Mellona, the Roman Goddess who is linked with Bees and honey. 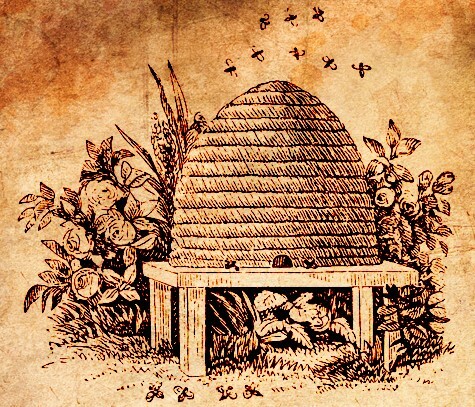 The Beehive is indeed a rich and important symbol and, as we shall see, is full of meaning. 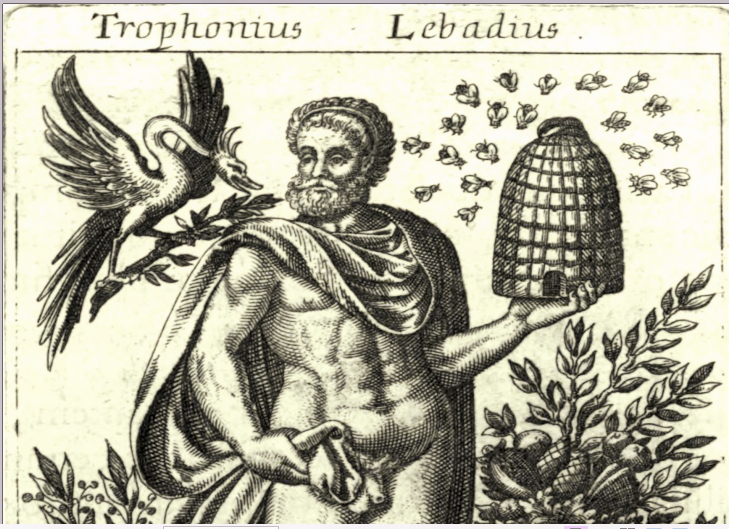 Trophonius is a Greek hero and Demi-God that is often portrayed with the symbol of the Beehive. According to tradition, Trophonius and his brother Agamedes constructed the Temple of Apollo at the oracle at Delphi, and they were then told by the oracle that they could do as they wished for six days, and on the seventh day their greatest wish could be granted. They proceeded to live life to the full for six days, but on the seventh day, they were both found dead. Another story has the brothers building a treasure chamber for a king, and using a secret entrance that only they knew, they stole the treasure. Agamedes was however caught in a trap, and Trophonius cut of his head so he would not be recognised and fled to a cave were he disappeared. The cave was only discovered many years later when there was a plague; on consulting the oracle at Delphi, the people were told that a hero was angry at not being worshipped and that they should find his grave to worship him. A search for the lost hero proved fruitless, until a shepherd boy followed a trail of bees to a hole in the ground, and the lost hero’s grave was found and the plague stopped. Other traditions link the two brothers with caves, and even the Hell Fire Club in the 18th century constructed a cave of Trophonius, complete with explicit wall paintings, in which to indulge their ritualistic parties. 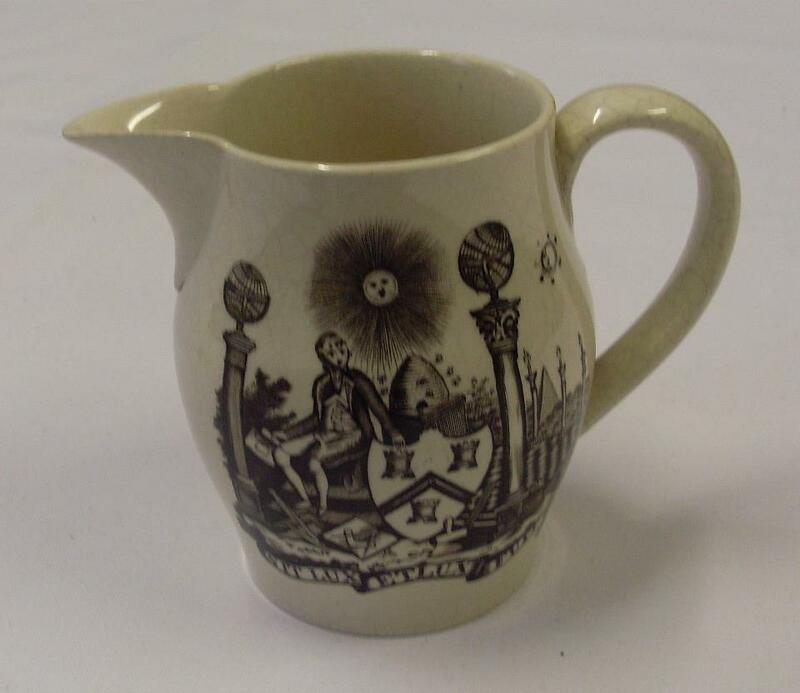 The symbol of the Bee here seems to be of a life-giving source; the Bees leading the shepherd boy to the lost grave of a hero and stopping the plague, the lost grave theme of course resonates in a part of the third degree raising ceremony within Freemasonry. The meaning to the symbol of the Beehive is indeed rich and deep; as a symbol for industry, or even the product of that industry – its honey – being a life-giving source, it is a symbol that is embedded in various ancient cultures and traditions. Additional thanks are given to the lively conversation with George Brooks and Daniel Gardiner which in part, inspired this article.